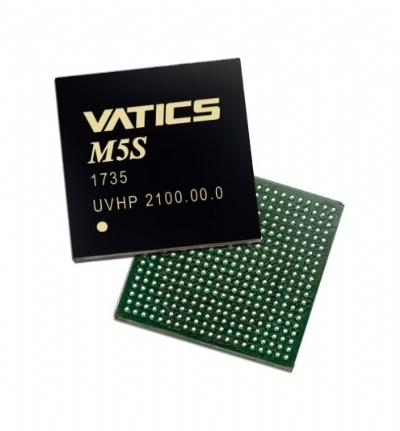 The VATICS M5S, leveraged advanced technology node 28nm, is a new-generation SoC designed for a variety of professional and consumer IP cameras including security cameras, home cameras, video doorbell camera, battery camera, 180° and 360°panoramic cameras, as well as home appliance and robot cameras. The M5S empowers a fast development of high-quality and multi-lens camera applications, offering upto 4-channels video-input, independent advanced multiple ISP pipelines (incl. multi-exposure High Dynamic Range fusion) with dedicated video quality enhancements for multiple wide-angle lenses & sensors, plus on-chip dewarping, stitching, and blending, all together for high quality real-time panoramic camera video processing. Besides, M5S permits significant CPU loading saving while keeping still a high flexibilities of distortion corrections required for various fisheye and wide-angle lenses to provide industry-leading quality of panoramic video reproduction. The M5S integrates a 720MHz ARM® Cortex™ A5 CPU and NEON™, a CEVA DSP and rich peripherals for tailoring up every needs for a wide range of camera applications. The M5S provides high efficient video encoding for 5M@30fps HEVC(H.265) and 2M@60fps AVC(H.264) where newly developed SmartHEVC encoding can save up to 60% on network bandwidth and local storage when compared to standard H.264. It grants greatly improved accessibility to most of IP camera applications and a great deal of bandwidth and/or storage cost saving. The M5S SDK provides Linux-based and RTOS-based framework and development environment that includes tuning tools and a rich set of APIs, enabling easy product customization and differentiation in areas such as sensor and lens tuning, audio and video analytics porting and refining. The VATICS M3C camera SoC integrates advanced image signal processing engines, H.264 and MJPEG encoders, a 600MHz ARM® 926EJ CPU, and rich peripherals. Besides the professional and consumer IPCam applications, the M3C families of SoCs enables a new generation of wide-angle security cameras, bringing advanced High Dynamic Range (HDR) processing, 3D noise reduction, 180°/360° dewarping, stitching, blending, and high resolution video up to 1080p@35fps. The M3C SDK provides Linux-based framework and development environment that includes image-tuning tools and a rich set of APIs, enabling great customizations and differentiations for customers' product planning and developments.